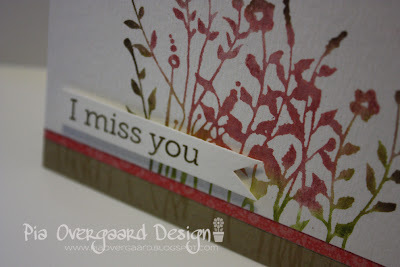 Just a very quick post today showing a card made with one of my favourite stamp sets from BG/Hero Arts the Butterflies & Wildflowers . I love those flowers!! Here I have stamped the image on watercolor paper misting with water to blend the 3 distress ink colors (victorian velvet, peeled paint & walnut stain). Stunning card, Pia! !Love it to bits! 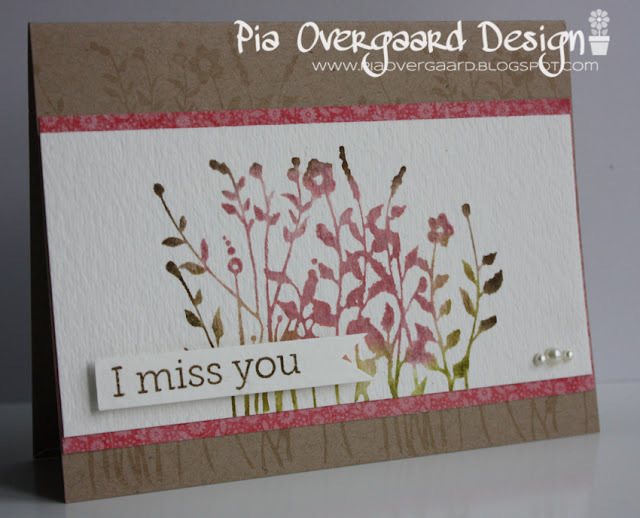 Love the softness of this card, Pia! A little sign of spring coming! Just a beautiful panel card Pia! Love how the stems make such an interesting border at the bottom!